Mushrooms are such a diverse, savory, earthy-flavored food and they are so versatile! You can add them to salads, casseroles, on top of foods, or as a side dish. They are fantastic raw, steamed, boiled, fried, sautéed, and baked. So, instead of simply buying them from supermarkets, you can actually learn how to grow shrooms in your own back yard. It is definitely cheaper once you set everything up and get a flow going. Just bear in mind that you will need to get a very basic understanding of mycology (the study of fungi), before you start. At minimum, you will need to be able to identify the fungi you are growing and to address any issues you might encounter during the growth process. But don’t worry, with a very basic understanding on how mushrooms grow, it is possible to cultivate and harvest shrooms successfully and safely. 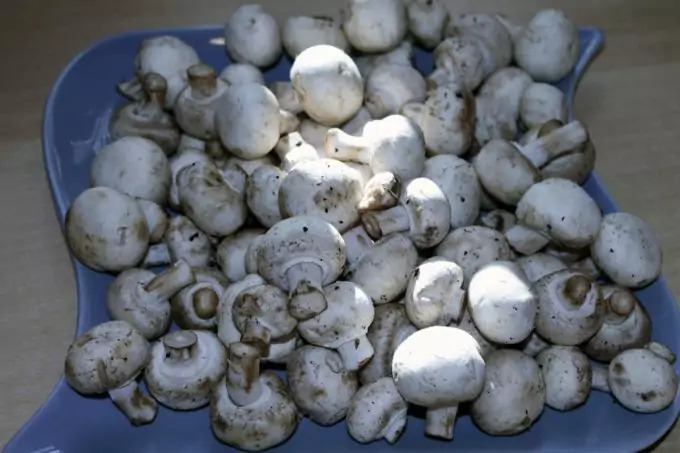 In Western society, nearly five decades ago, there was a single variant of mushroom you were allowed to eat and that was the White Button Shroom, also known as the Agaricus bisporus. This type of mushroom can be grown using straws and horse manure compost. In contrast, in the East, different types of mushrooms were being cultivated in the 1970s. The people of Eastern cultures were growing a series of woody type shrooms that were actually cultivated with wooden logs. Such species include the Curtis Singer Flammulin velutipes, the Enoke of the Auricularia polytricha Mont. Sacc., the Wood Ear, and the Lentinual edodes. During the 19th century, there was little known about spores or mushroom growth and this lack of understanding had a big influence on how mushrooms were actually cultivated during that time. For example, the grower had to go out and collect mushroom fruit bodies, removing them from their natural habitat. The shrooms were then put in a fresh kind of substrate and the spores would, in turn, colonize the selected substrate so more fruit bodies would grow from the selected mushrooms. Even today, many species of mushrooms can’t be grown simply because it cannot be determined how the mushroom fruits. We know that they start out a lot like dust-size spores released from the pores or gills beneath the mushroom caps of full-grown specimens. We also know that a mushroom will remain most of its life in the mycelium stage. Here the shroom is part of a network of moistened fibers featuring wood and organic penetrating enzymes. Currently in both Eastern and Western societies, there are far more species you can cultivate safely than ever before. But, out of 14,000 mushroom species, about 250 of the different types of mushrooms have been deemed as safe edibles. Don Simoni, from the San Francisco-based mushroom growing kit company, “Mushroom Adventures,” explains how many of the so-called fresh mushrooms you get at the market are already three to five days old. Of course, they are still delicious and edible, but after day two of being harvested, something happens to the mushrooms and the flavor changes. To learn how to grown shrooms yourself is to expose yourself to the opportunity of having the most flavorful, fresh mushrooms you have ever tasted in your entire life. You have to take your time when planting and harvesting mushrooms. A good deal of patience will be required of you as a planter because these fungi will grow when they are ready and not a moment before. Some of the easiest shrooms species to grow include Portabellos, wine caps, shiitake, and white cap (sometimes called white mushroom or Cremini), with the latter proving the most common and popular. 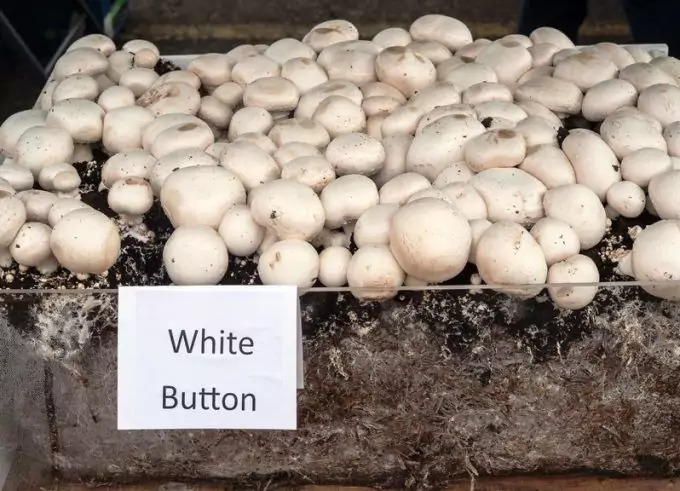 For a long time favored mushrooms like the Portobello and Cremini were cast aside, not because they were not edible, but because they were not the pretty white color that became coveted thanks to the white button varieties. Today, these mushrooms are more in favor and are used in an array of recipes. The difference between the white cap agraricus bisporus and the Portobello is the latter is allowed to mature into the former, thus the White Button shroom later becomes the Portobello. Currently, more than 60 countries cultivate mushrooms. 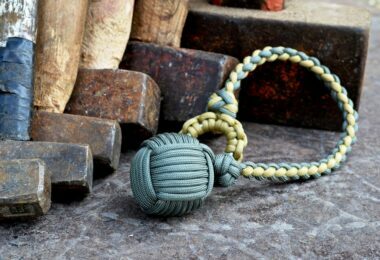 China is the leading country in growing them with the United States following at a close second in terms of production. This is a clear proof of how popular mushroom based foods are in the global cuisine. 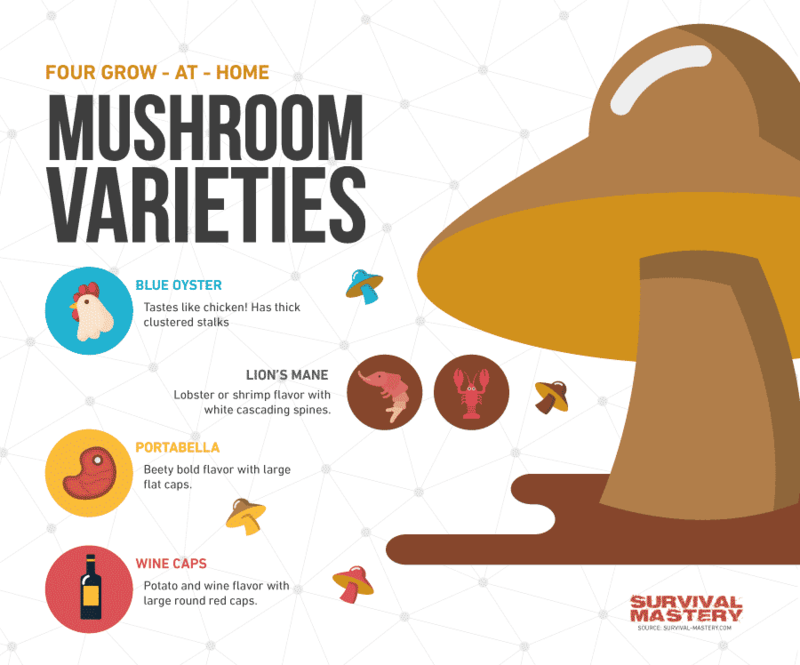 Some of the most common mushrooms you can safely cultivate and consume are: shitakes, wine caps, oyster shrooms and others. Knowing what these mushrooms look like will give you a better understanding of what to expect as you cultivate them. Oyster Mushroom, Shimeji, Abalone Mushroom, Pleurotte en huître, Angel’s Wings, Tree Oyster pleurotus ostreatus The shroom has a briny, light salty flavor thereby earning the name Oyster Mushroom. Fan-shaped, whitish shrooms with a light flavor, and odor. Wine cap Stropharia rugosannulata A white stalked reddish brown capped shroom with a text like the Portobello. Shiitake or The Oak Mushroom, also known as Donko, Golden Oak, Forest Mushroom, Oriental Black, Black Mushroom, Chinese Black, Brown Oak, Black Winter, Black Forest, Shitake Lentinula edodes These shrooms can be grown from wood or logs and are suitable for stews and soups. They have a full texture and a brownish exterior. 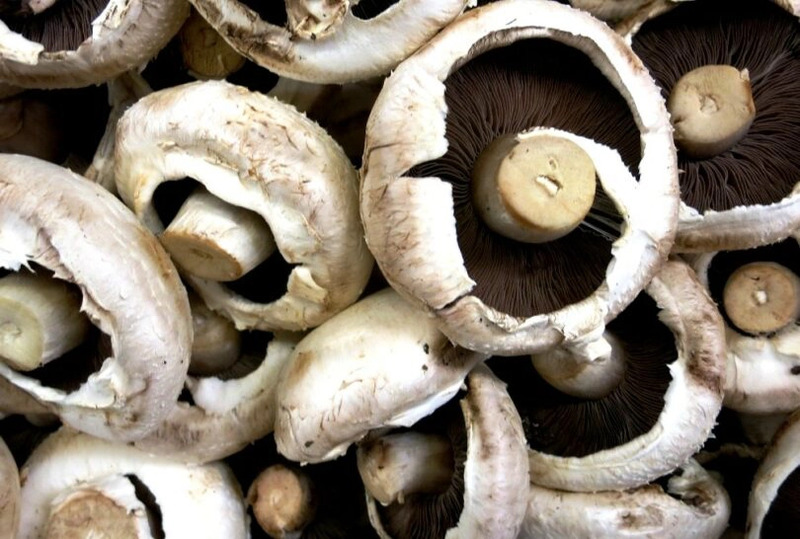 Cremini Mushrooms, Portobello, and White Button Mushrooms, Baby Portobello, Baby Bella, Crimino, Brown Mushroom, Classic Brown, Italian Brown, Roman, and Golden Italian Agaricus bisporus All of the later mushrooms fall under the same botanical name. These mushrooms are delicious additions to casseroles, soups, stews, and more. The White Button Mushrooms are harvested first to ensure their young, white sable, flawless appearance and freshness. The Portobello mushroom, of the same botanical classification, is the mature version of the White Button mushroom, but the Portobello is left to age so its cap can expand. The Cremini mushroom is a nice balance between the two; it is older than the White Button and younger than the Portobello. Even more, the White Button, Crimini, and Portobello are the easiest to grow from home. As you get better at tending to the most common species, you can begin to learn how to growth more advanced species that require special care. Portobello, Open Cap Mushroom, Field Mushroom, Portobella Agaricus bisporus When small in size these shrooms are criminos. They are large, dense, and rich. You can add them to sauces or serve as a meat substitute. Portobella shrooms are often found in Italian cuisine and you can stuff them as well. Grifola frondosa, Boletus frondosus, or Polyporus frondosus These mushrooms are sold as clusters, and have an earthy flavor and odor. When viewed from a distance, they look like a cabbage head. White Button Mushroom, Table shrooms, Champignon de Paris shrooms, cultivated shrooms, and buttons. Agaricus bisporus Champignon in France, this mushroom is the most common type eaten in the United States. Porcino, Penny Bun, stensopp, Steinpilz, Cèpe, Polish mushroom, Borowik, King Bolete, Bolete, or Porcini saprotrophic basidiomycetous Popular in French and Italy, the Porcino is the reddish brown wild shroom appreciated for its woodsy taste and aromatic properties. Can be dried and rehydrated. Chanterelle, Pfifferling, Girole, Girolle, Egg Shroom, Yellow Chanterelle, Golden Chanterelle Cantharellus cibarius The Chanterelle features an indentation in the center of it cap which is shaped much like a trumpet. The scent is likened to apricots. When you are ready to start growing your own mushrooms, you have to learn about substrate. This is the material that goes into the bottom of the box, aquarium, terrarium, or pot where you will be growing your mushrooms. The substrate must match the outdoor conditions the shrooms would’ve grown in, to offer them the best possible conditions. Hen of the Woods, Lion’s mane, or Shiitake shrooms will thrive when grown in substrate consisting of sawdust or wood. You also have the option of growing them directly from a log if you so choose – this will most closely mimic their natural habitat. Oyster Mushrooms – the substrate you choose must be straw based. With the appropriate substrate, you will also need to have the ideal growing environment. The room or space where you’ll grow the shrooms needs to be at least 55 to 60 degrees Fahrenheit at all times. 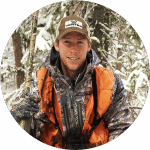 The growing environment is never in direct sunlight and you will want to make every effort to recreate the shaded and dark areas of the natural forest habitat. For example, you can put the growing box inside a closet, in the garage, or in a basement. If you plan on growing mushrooms during the summer months, make sure you also plan to control the air inside the home so that it is adequately cooled to a temperature that allows the mushrooms to grow. At the same time, remember to keep the air humid. For more tips on how to make mulch, read our article on survival farming techniques. For an example of a mushroom growing environment made out of nothing more than cardboard, view the above video: Growing Edible Mushrooms at Home – Cardboard Spawn Tutorial. The environment you choose for the mushrooms you will grow is based on what the mushrooms would otherwise be acclimated to if they were not out in the wild. You can choose a terrarium set up, aquarium, pots, a growing box, wooden boards, or wooden logs if need be, just make sure you check into what environment will help your mushrooms thrive. When you buy substrate, you have to also buy a mushroom spawn. The spawn will often come with a plastic syringe so you can inject the mushroom spores into the substrate. You will also need a syringe if you invest in a mushroom kit with a bag set up to establish your growing environment. If you decide to use trays to grow mushrooms in, you can add the substrate and inoculate it by adding the spawn in a few places with the injector. For a period of 14 days you have to keep the substrate warm, at a temperature of no more than 21 degrees Celsius or 70 degrees Fahrenheit. During this period of time, white mushroom roots will begin to form from a growth that shows up. This is the mycelium. Beware: temperatures greater than 70 degrees Fahrenheit will kill off your mushroom spores! A growing box: this is often the box that the mushroom growing ingredients arrive in as well. The home growing kit is the easiest method, as many kits only require adding just a bit of water to get started. Within roughly seven weeks you can end up having mushrooms ready to harvest. Of course, there are home growing kits for growing white button mushrooms, Portabella mushrooms, Morel mushrooms, and Shiitake mushrooms, among others. Add drainage points to the bottom portion of the growing box. You can do this easily enough with a screwdriver or a pencil. The compost has to be put on the bottom of the growing box and spread out. Add the peat moss on top. 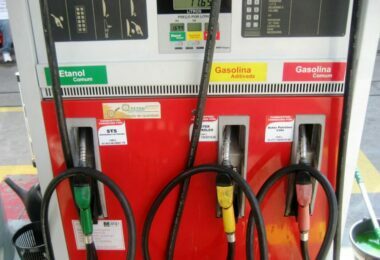 Once you have everything set up, you can fill a water bottle with fresh water, set the bottle to mist, and simply add a light spray of water over the top of the peat moss. You will have to store it in a moist and warm area in order to cultivate mushrooms from your home growing kit. It will be necessary for you to maintain the moisture of the kit as well. Provided you keep the kit in a dark area and you keep the dirt damp, you are establishing the perfect conditions for mushroom growth. 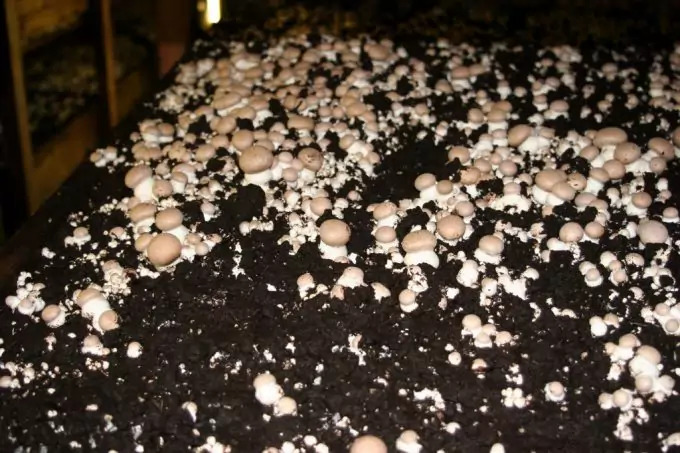 Mushrooms thrive in darkened, moist areas and following the initial 14 days after getting the growth box ready, the first layer of mold will crop up. After the initial layer of mold appears and the passage of another two to four weeks, mushrooms will begin growing. HomemadeHandyHint’s YouTube video demonstrates how mushroom kits help you grow mushrooms with considerable ease. Another type of mushroom kit you can try is the Marvellous Mushrooms, which is a Shiitake and Oyster mushroom growing kit. The main difference between this kit and the one you would use to grow button mushrooms is that it comes with a piece of mushroom growing board. The grains you need to grow shrooms are sold separately. The kit comes with two boards, both of which have to be soaked in water so the boards are saturated. 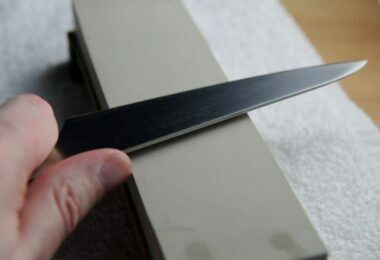 Once the boards are thoroughly soaked, you can allow the boards to drain for five minutes after removing them from the sink. 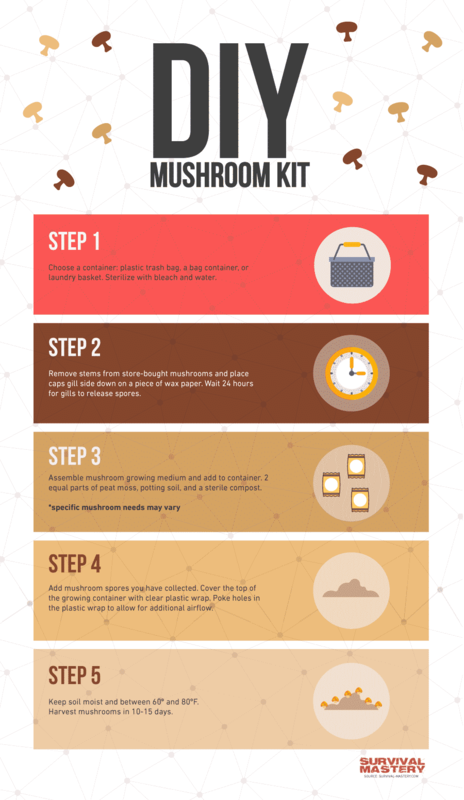 After this, you can spread a bag of Shiitake or Oyster mushroom spores all over one of the cardboard pieces. The second piece of cardboard is then positioned over the first so it sandwiches the spores in between the two boards. The kit comes with a plastic bag that is placed over the two boards with the spores in between them. The plastic bag keeps the cardboard and seeds moist. The end of the bag is left open and the boards should be kept out of sunlight and in a dark place. A white mold appears on the top of the board when growth begins. Once the mycelium has formed, you simply need to cover it with some fresh soil and to keep it out of direct sunlight. Use about one inch of soil to cover the mycelium. Once covered, you can drop the room temperature from 70 degrees to no lower than 55 degrees Fahrenheit. When watering the shrooms, make sure you do so with distilled water that you put into a spray bottle. Simply mist the mushrooms and soil daily to keep them thriving. When you are learning how to grow shrooms, the temptation is great to keep the mushrooms over watered, but do not. Too much water will contribute to root rot. When questioning how to grow shrooms the second question that goes hand-in-hand with the first is, how does one store shrooms and keep them fresh? When the mushrooms reach full size, you can harvest them. If you do not decide to eat them raw, there are ways you can store them. Once you pluck the mushrooms from your growing environment for the first harvest, there will be more. This cycle will continue for a period of three or four months where you can reap the benefits of your hard work. When assessing the freshness of your mushrooms, make sure they are healthy looking and they smell as they should: earthy, gamey, woody, and fresh. The gills on the underside of the mushrooms should be firm, as should the exterior of the cap and stem. Refrain from the temptation to store mushrooms in a plastic bag because doing so causes them to start degrading way too fast. Once harvested you should keep the mushrooms refrigerated. If you do not plan to eat your shrooms right away, do not wash them. The mushroom is an absorbent food source, so to wash them and then refrigerate them is to turn them soggy. With too much water on the mushroom body, you are making the fungi more susceptible to mold development. If you have a crisper do not put your mushrooms inside it because this area is very moist and again, a moist environment, while great for shrooms as they grow, is not at all good for mushrooms that have been harvested. If at all possible, do your best to harvest the shrooms you grow when you plan to eat them. The longer you can keep them on the stem, the longer you can keep issues with rot, decay, and molding at bay. Yes, it is okay to refrigerate them, but they will only last about five days in the fridge. Mushrooms can be dehydrated and rehydrated later as well, and when dehydrated they will store for a far longer period. For tips on how to preserve food longer, see our article on how to rehdyrate fruit, vegetables and meat. There are hundreds of different mushroom species you can cultivate at home and in doing so, you can gain the satisfaction of having grown and cultivated a food source on your own. You also end up saving money. Whether you get the substrate and environment established on your own or you make use of a convenient growing kit, you can cultivate the mushrooms repeatedly until they stop growing. 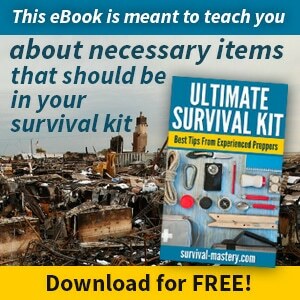 For more tips and tricks on how to live off the land, see our article on making the most of nature and surviving.